The Colonial District forms the very heart of Singapore, its neo-Palladian buildings lining the banks of the Singapore River. The juxtaposition of the soaring skyscrapers of the central business district towering over the colonial buildings demonstrates how the city celebrates its colonial past, whilst embracing its fast-paced and energetic present. A walk through the area not only provides a glimpse into the city’s beginnings, but reveals some of the most picturesque perspectives of Singapore, and takes in many of the city’s most famous landmarks. 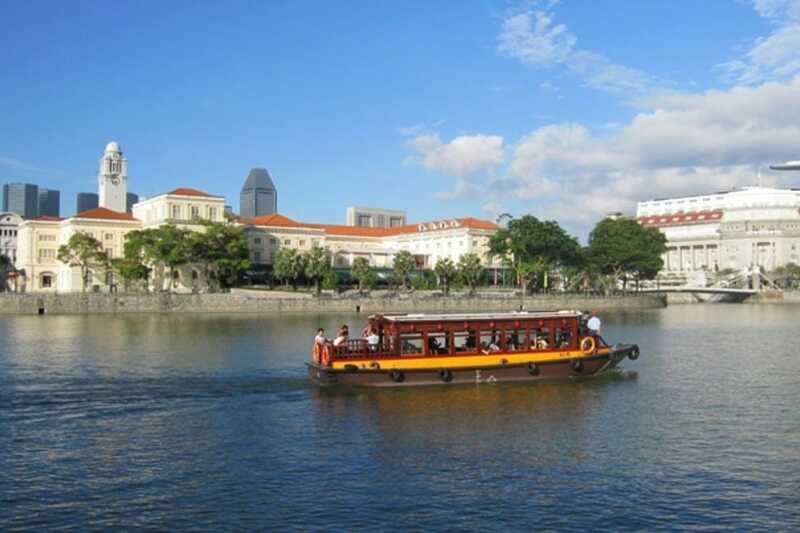 The Colonial District is one of the best areas in Singapore for a walking sightseeing tour. The area is packed full of impressive buildings and famous landmarks, such as Old Parliament House, Victoria Theatre & Concert Hall, the Old Supreme Court and City Hall. It is also home to some of Singapore’s best museums – particularly impressive is the Asian Civilisations Museum on the banks of the Singapore River, which celebrates the cultures of the ancestors of Singapore’s citizens. Also nearby are the Singapore Art Museum and the National Museum of Singapore, a must-do for visitors. Raffles Hotel has a selection of fine-dining options to choose from, including Royal China, one of Singapore’s best Chinese restaurants; and the Tiffin Room, famed for its curry buffets and afternoon high tea. Across the road, Swissotel the Stamford also boasts a range of restaurants, with fine-dining French option JAAN being the main draw, while Raffles City shopping mall has an impressive collection of restaurants and food stalls in its basement. Nearby, you will find Chijmes, a former convent, which now houses several al fresco bars and restaurants, ranging from Japanese, Thai, Chinese and Italian, to more informal ‘pub grub’. A visit to Singapore wouldn’t be complete without a Singapore Sling in the Long Bar at Raffles Hotel, but there is more to the area than that. The New Asia Bar on the 72nd floor of Swissotel the Stamford has some of the best views in town, while Loof across the road is one of Singapore’s original roof bars, and pulls in the cool crowd most evenings. Also nearby is Chijmes, a former convent, which now houses several al fresco bars and restaurants. Meanwhile, attached to the Asian Civilisations Museum is the riverside Indochine Waterfront, a bar and restaurant complex with views over the river and the city’s skyscrapers. The most renowned hotel in the area is the world-famous colonial stalwart Raffles Hotel. The impressive building with its palm-filled courtyards and breezy verandahs is worth a visit, even if you can’t afford to stay in the all-suite hotel. At the other end of the Colonial District and on the Singapore River is the equally impressive Fullerton Hotel, housed in the former General Post Office building, dating back to 1928. More modern options include business favorites Swissotel the Stamford and the Fairmont hotel, and luxury boutique option Naumi. There are a few shopping destinations worth seeking out in the Colonial District. Raffles City shopping mall is the biggest in the area with its five levels of high-street shopping and food & beverage outlets. It has direct access from City Hall MRT and is linked via underground walkway to Esplanade MRT and Marina Square shopping mall. It also has direct access from both the Swissotel the Stamford and the Fairmont hotels. Across the road is Raffles Hotel with its high-end boutique shopping gallery, and a few minutes walk will bring you to the Funan DigitaLife mall, one of the best spots in the city for buying electronic goods.